The Apple Regent Street Store in London combines several characteristics that make it one of the most popular stores in the world, including location and size. It is situated in an upscale shopping district in London commonly referred to as Regent Street, within a historical building from the Edwardian Period that once housed the Thomas Cook Travel Agency. Almost the entire area of Regent Street has been under development by The Crown Estate – and, yes, that means in part the English Monarchy. Some of the history of the land belonging to The Crown Estate dates back to 1066 when land and assets after the Norman Conquest were transferred to King William. The building where the Apple Store stands was originally designed by famous architect Sir Reginald Blomfield (1856-1942) who also designed the London Center of the University of Notre Dame. As with many buildings on Regent Street, the Apple Store location is listed as a historical site. Taken together, these buildings make up what is known as the Regent Street Conservation Area. Now a premier place to shop, Regent Street includes more than 2 km of storefronts including such popular stores as Burberry, J. Crew, Lacoste, and Armani Exchange. 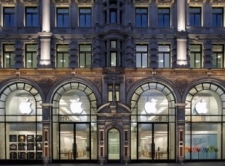 Apple, Inc. is clearly in good company among these venues, and accumulatively they carry on the tradition of big name brands filling the historic district of Regent Street. For many years since its opening in 2004 the Regent Street Store was also the largest Apple Store in the world. It includes 25,000 square feet of retail space and 3,000 square feet of office and storage space – compared to some stores that are not even 600 square feet in size. The Regent Street Store also includes the trademark Apple glass staircase, including a glass bridge. However, because of the historical architecture, the staircase is straight instead of the characteristic curved design of other Apple stores. So the historic location of the West End shopping area and towering size of this store are not the only things that set this store apart from the rest. A record number of 5000 fans waited outside the store for more than 24 hours before the opening day in 2004, and a crushing 11,000 went through the doors by day’s end. Because of its sheer size and popularity in the region, this Apple Store has one of the largest numbers of employees to assist customers – more than 200 staff are on hand to greet visitors and answer tech questions. The store also hosts celebrity and other high society events, some of which take place in their 64-seat theatre. This store is located in the London Borough of the City of Westminster in a very upscale neighbourhood. The nearest railway station to the Regent Street Apple Store is Oxford Circus, with the Central Line, Bakerloo Line, and Victoria Line all stopping there. Be prepared to walk as the layout of Regent Street is vast and includes block after block of shopping venues. The Regent Street Store has much to offer, including consultations with a Business Team for working on digital solutions for companies, a Genius Bar for “live” technical support, or just for a wide variety of shopping options for Apple products and accessories. With more than 200 staff available, customers can certainly find someone to answer their questions. If you decide to go for either the Genius Bar or for one of the workshops they have available, you should plan to make a reservation so you know you’ll have help when you arrive. You can do this easily online, selecting from a friendly user face system the day and time that works for you. The workshops cover a variety of topics, including simple lessons like learning more about your iPad, to more complex and specific things such as how to configure and maximize GarageBand. Want more Apple news and features? 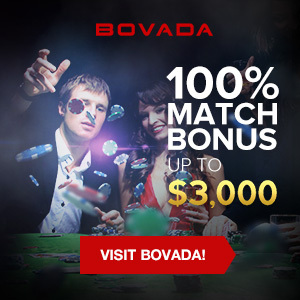 Check out the MacCasino.net News section today!